ï The Lamentations of Orpheus- a solo for an industrial robot - installation at the Museum of Dance in Stockholm September-november 1998. Click on the picture to download a videodocumentation of the dancework. 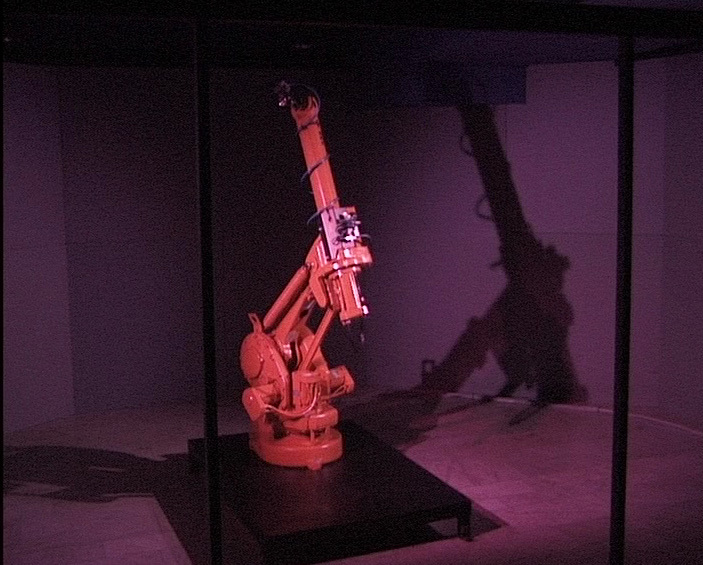 Honorary mention to Åsa Unander-Scharin, for ìThe Lamentations of Orpheusî, an installation whose compelling aesthetic relies on the sophistication of its principal element, an industrial robot whose choreographed movement are attuned to music from Monteverdis Lòrfeo. 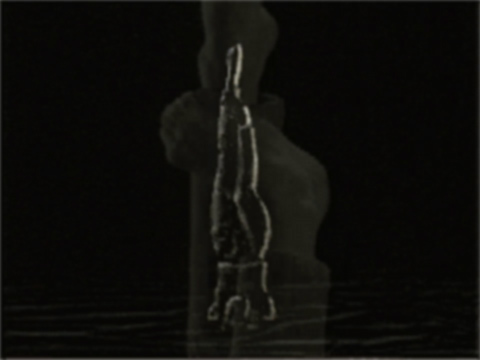 Possente Spirto - Visual choreography at WEBSTAGE premiered April 29 1998.
ï Dancenotation - digital tools in the choreographic process: Lecture/ demonstration at the House of Dance in Stockholm, March 6th. ï PITA (Young organizers) Presentation with Desire Chaos and Geometry and mobiles on stage. Visual choreographies and Date of Birth Dances - on a computercreen at the National Theatre in Hallunda, March 20th. ï Visual choreographies and Date of Birth Dances on a computerscreen at the Dancefestival, Dansstationen in Malmoe, May 11th -18th. ï New robot choreography - in a cage og glass and projection. , August 1999.
ï P.S. 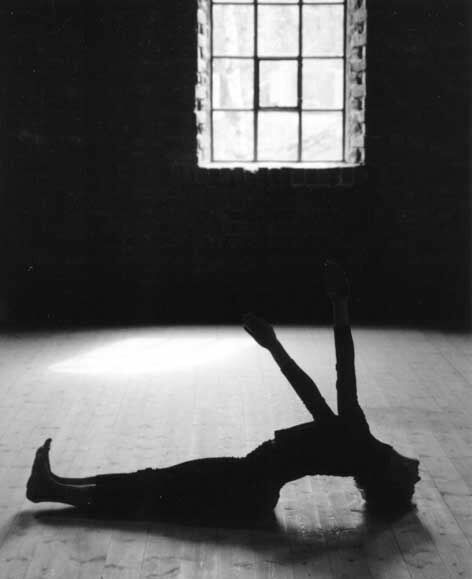 - solo in movementsensoric image- and soundscape. In the autumn 1999.
ï Åtrå Kaos och Geometri - dance work installation at the House of Sculpture in december 1998.